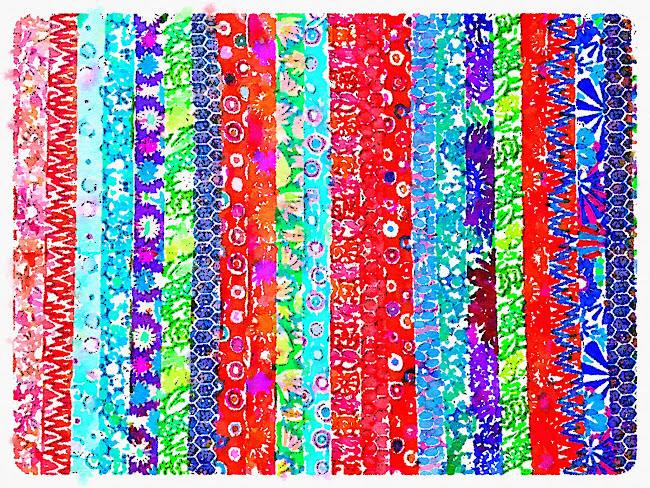 Watercolor Wednesday | Jelly Roll! Oooooh, a new project! Jelly rolls are so much fun to sew for a quick quilt top! Knitting, crochet, now quilting – you are multi-craftual! Pretty! Looks like it could be an ipad cover! Is it done, or is it in the planning phase? Love the layout!